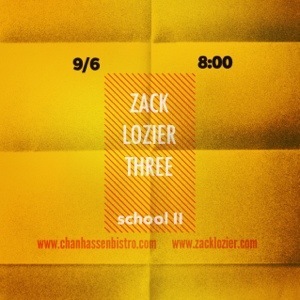 I am pleased and excited to announce my first ZL3 show at School II Bistro in Chanhassen. If you’ve never been, make it a point to indulge in the delicious food, coffees and adult beverages. It’s located right out on HWY 5, near 101. Please join the boys and I as we swing and groove through a special Friday night.